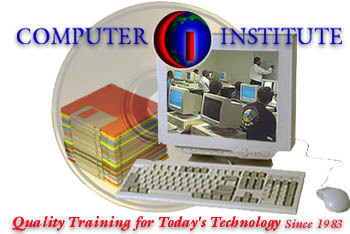 Computer Institute is committed to customer satisfaction. In the past 33 years , we have created a very friendly learning environment with the latest computer hardware and software technologies. Whether you are new to the computer industry or are looking to improve your skills, we have the right course for you. Well-qualified, experienced certified instructors train the participants with easy-to-use step by step training material in the most optimized period of time. We provide life time free telephone support to our clients. We are so sure about the quality of our certification that we say: If you register for A+ training and certification, Network+, Security+, MCSA, MCSE, MCEA Windows 2008, 2012, MCSD, CCNA, CCNP or Oracle Developer or DBA and fail a test, you can retake the course for the test that you failed free of charge. The course can be retaken subject to availability of course &seat in the class.